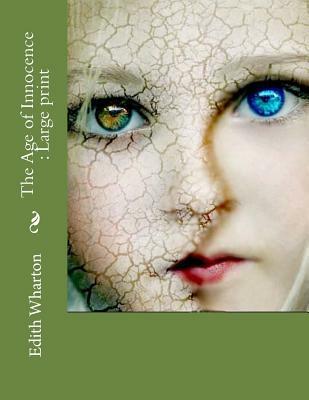 The Age of Innocence: Large print by Edith Wharton Among New York City's upper class of the 1870s, before the advent of electric lights, telephones or motor vehicles, there was a small cluster of aristocratic families that ruled New York's social life. To those at the apex of the social world one's occupation or abilities were secondary to heredity and family connections, and one's reputation and outward appearance was of foremost importance. At the center of the highest circles is Newland Archer, a lawyer set to enter into a socially safe marriage with the sheltered and beautiful May Welland -- a decision Archer is forced to re-consider after the appearance of Countess Ellen Olenska, May's exotic and beautiful cousin, recently returned from a lengthy stay in Europe. We are delighted to publish this classic book as part of our extensive Classic Library collection. Many of the books in our collection have been out of print for decades, and therefore have not been accessible to the general public. The aim of our publishing program is to facilitate rapid access to this vast reservoir of literature, and our view is that this is a significant literary work, which deserves to be brought back into print after many decades. The contents of the vast majority of titles in the Classic Library have been scanned from the original works. To ensure a high quality product, each title has been meticulously hand curated by our staff. Our philosophy has been guided by a desire to provide the reader with a book that is as close as possible to ownership of the original work. We hope that you will enjoy this wonderful classic work, and that for you it becomes an enriching experience.